We had a simple and yet fabulous Christmas last year. We had a family dinner on the Christmas Eve. My dear Mom was the Santa Clause in the family because she brought us all presents. That was really unexpected but it made our night lol. 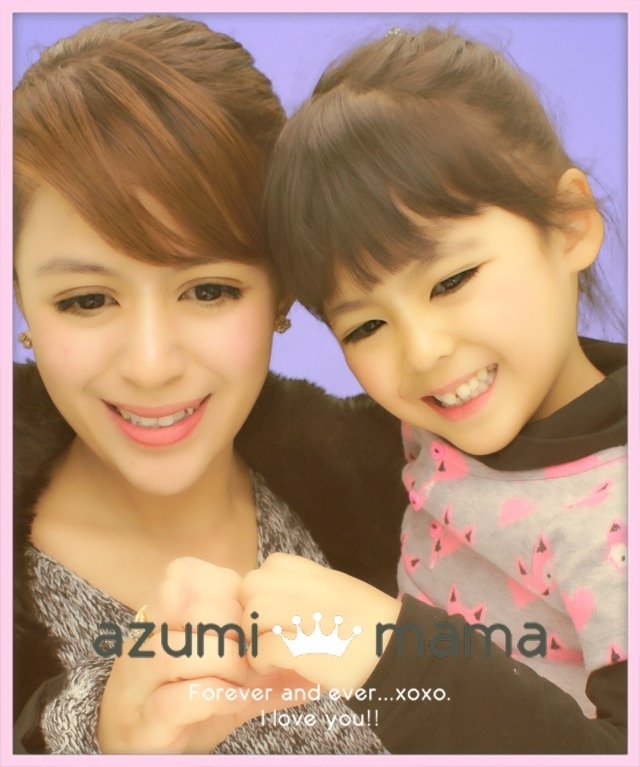 As for our little Azumi who was barely a year younger then (14 months old) definitely had a blast. There were so much for her and Ryukun to look at and put in their mouths. They were on their own world nonstop playing and giggling. What do you expect with toddlers? It felt good though because I have had 2 quiet (and yet romantic) Christmas from the previous years. On the Christmas day, we went out to see a Christmas Illumination at Tama Center. Nothing really beats celebrating the holidays in our homeland. I miss celebrating it with my huge number of family in the Philippines. so true, christmas back home is really incomparable. My Thea wishes to spend it there too everytime she sees adverts in TFC, perhaps next year. Your Anzu is dalaga na ha, she's growing up so pretty and fast too. 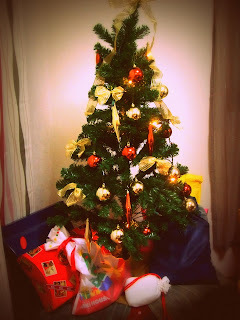 Very nice Christmas tree and filled with gifts too. Doing my rounds for MM; hope you can check my entry too. hi! i missed you sis!!! Hey hey hey, online ka na yipppeee hehehehe... Pwede to sa nostlagia lol. Kamusta na kayo Bams, nakabalik na pala kayo? I love your Christmas tree. Yes, you had a very meaningful Christmas celebration last year. Thanks for the post. God bless you all always. hope to see u soon too!!! nice to see you at mommy moments again :) we missed you!! We have been missing you. Anzu is as pretty as usual. The Holidays can be very difficult. You can not help but to feel homesick.But you need to have the best Christmas possible for your immediate family.Open your Heart to the whole World. that's a very cute tree you got there! i love red and gold, very striking..